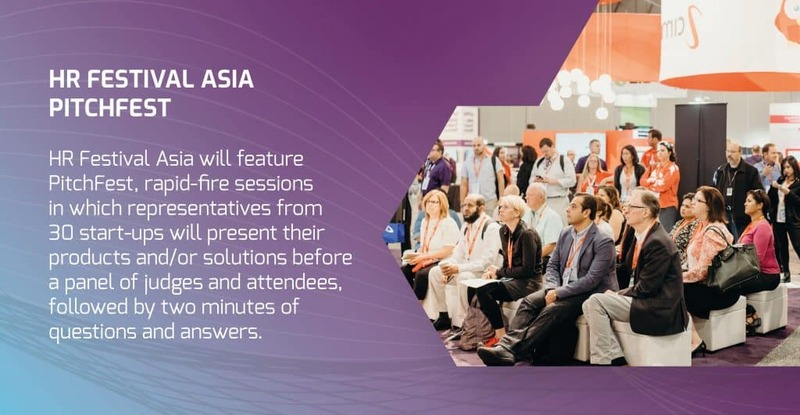 Taking place on May 8 and 9, at the Suntec Singapore Convention & Exhibition Centre, the event aims to guide Asia-Pacific HR and business leaders through the complex new business environment – and provide a bustling space for ideation, networking, and strategic discussion. 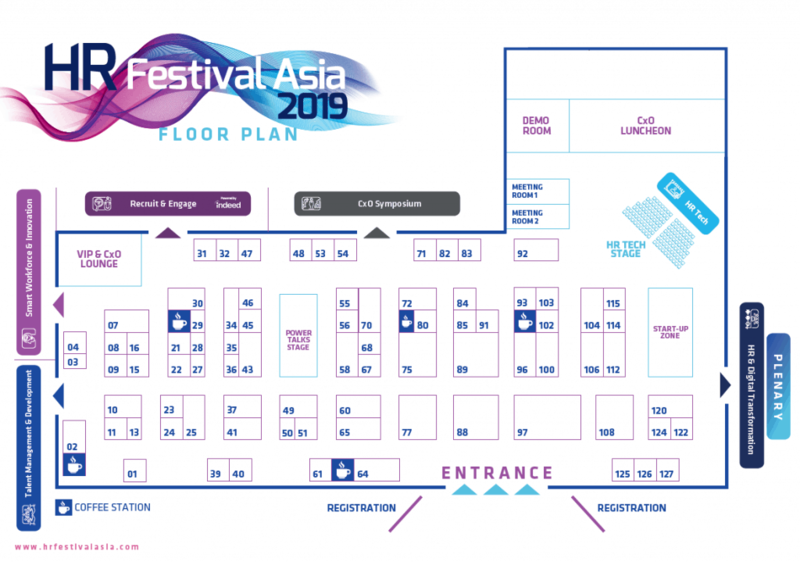 HR Festival Asia will comprise a robust conference split into six dedicated streams, as well an Expo – set to be the region’s biggest such exhibition in 2019, with more than 100 exhibitors across 3,000 square metres of floor space. At the spacious Expo Hall, which is effectively the fast-paced and dynamic heart of HR Festival Asia, HR and business leaders will have the opportunity to receive expert insights on how to select the right technology for their organisations, and to better understand the current and future technology landscape. The exhibition also features a dedicated Startup Zone, where more than 30 of the hottest HR start-ups from around the world will showcase their new technology and products to an audience hungry for the latest emerging products. The participants are all in their first five years of business, and each offers a new perspective or unique technology-enabled solution on some age-old HR challenges. 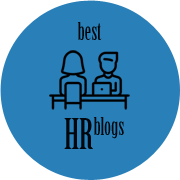 There are payroll services, job boards, and organisational culture specialists, among a host of other solution providers ready to make their mark in the HR community. Visit them all at the Startup Zone, just beside the HR Tech stream stage in the Expo Hall. Or see them vie for some big prizes, funding, and recognition in the inaugural HR Festival Asia PitchFest taking place on both days of the event. The HR technology space is in the throes of disruption right now, with more than 100 recognised startup businesses in Singapore alone. 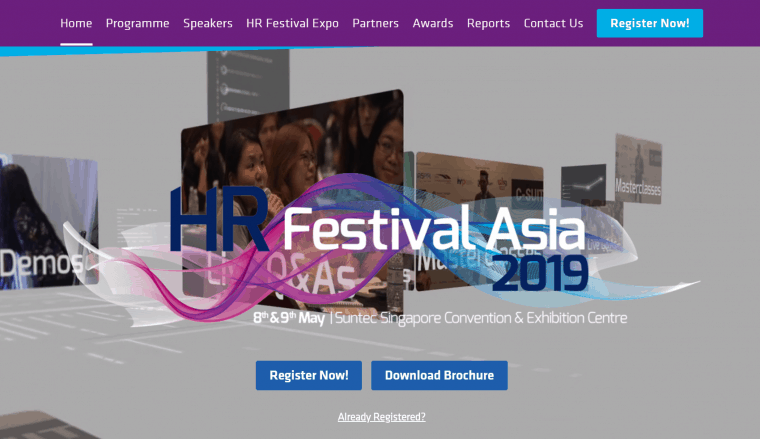 HR Festival Asia will witness this vibrant competitiveness up close, with the inaugural HR Festival Asia PitchFest taking place live on stage within the Expo Hall. Over the two-day PitchFest, many of the companies exhibiting in the Startup Zone will join others from around the region to pitch their unique business and HR solutions to a live audience and judging panel. In Round One, taking place on the event’s first day, entrants will have just five minutes to wow the judging panel, which consists of HR professionals, technology experts, and government and private funding agencies. Selected startups will pass through into the final round on Day Two, where they will each have 10 minutes on the HR Tech stage to make their pitch. Don’t miss this chance to see the next big thing in HR technology – click here to register, or drop me note. See you there.